From the centre of Kirkwall, head west on the A965. You will pass a circular pond on your left. Turn left at the next roundabout. The Pickaquoy Centre is located on the right hand side a short distance further on. The sports fields are found to the rear. 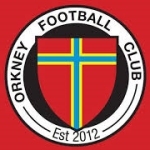 Orkney joined the NCFA in 2012, initially only playing in cup competitions. In 2014 they began to take part in league competition. The Pickaquoy Centre boasts various indoor sports facilities, a swimming pool, a cafe and a cinema. Outside there is an athletics track. 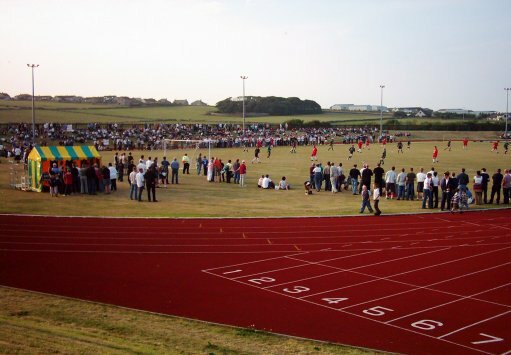 The pitch within the running track is used mainly by Orkney Rugby Club, but it also hosts the Parish Cup final in August. The cup competition is played for between teams representing the various parishes of Orkney. However, Orkney FC play their home games on the adjacent artificial park.